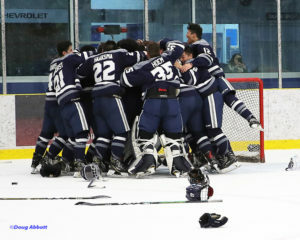 The North Vancouver Wolf pack formerly known as the Hope Icebreakers completed a magical playoff run to capture the PJHL championship. 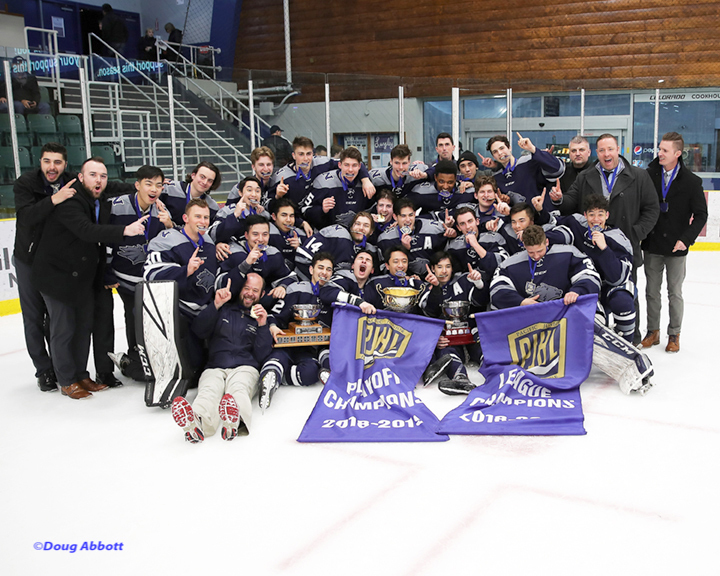 This is their second franchise title since 2014-15 managing to pull off an impressive 12-2 in the this years post season play-offs and will now represent the PJHL at the Provincial Championship April 11th – 14th in Campbell River at the Cyclone Taylor Cup. 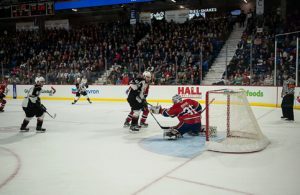 The Wolfpack completed the 2019 playoffs with a four (4) game sweep over the Langley Trappers with a convincing 5-1 victory that saw them to sweep the second year Trappers in four straight games. 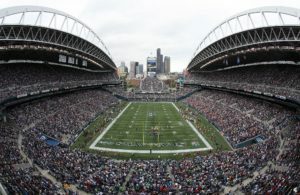 This allowed them to win the league regular season title, as well as the Tom Shaw Conference Championship taking the title. 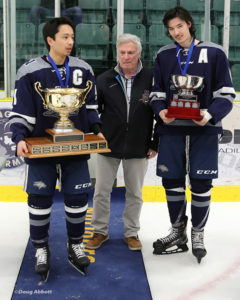 The Wolfpack were led by Kaz Minemoto who notched a hat-trick (3 goals) with singles going to Jacob Fournier and Nathan Haaksma, while at the same time getting stellar goalkeeping from Spencer Eschyschyn stopping 32 of 33 shots. A recap in their quarter final journey saw them knock of the Ridge Meadows Flames managing a 4 games to 1 series win. This was followed up eliminating a tough Grandview Steelers squad also in 5 games, completing the great run knocking off Langley claiming the league championship. 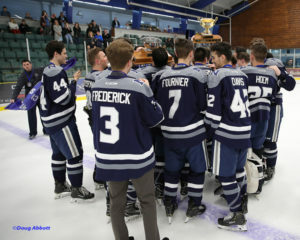 Second year franchise the Langley Trappers made huge gains in the clubs history by advancing to the league finals following the elimination of the Abbotsford Pilots after rebounding from a 3-1 deficit, defeating the Pilots in the quarter finals 4 games to 3. 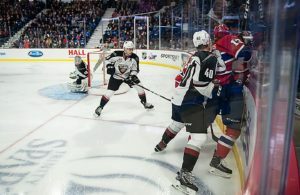 The semi-finals saw them defeat the defending league champions Delta Ice Hawks in five games (4-1) winning four straight after dropping the opener. Both teams put on a tremendous final series in 2019 and Sportswave “thanks” the league for their support throughout the season. We look forward to the 2019-20 season as the PJHL continues to grow and entertain numerous fans who continue to support the league. 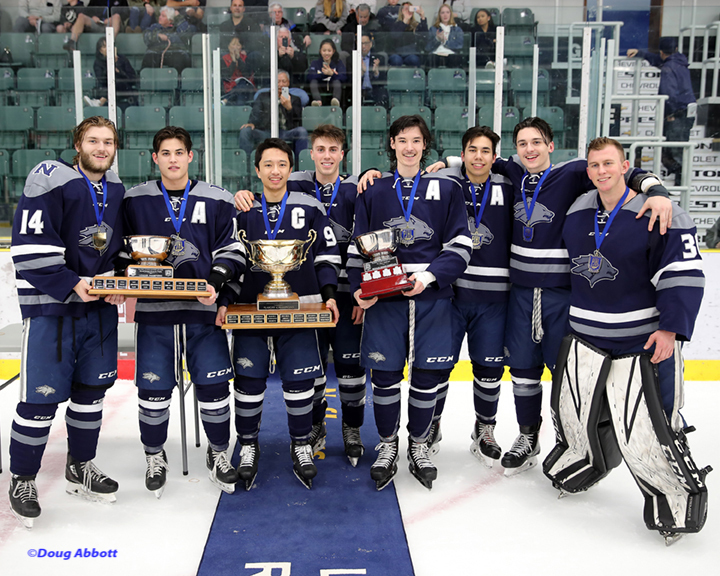 Thanks to Doug Abbot – League Photographer for all the photo’s and his support all season!!!!! !